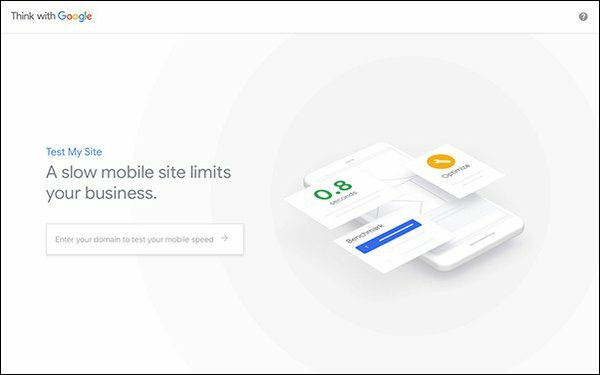 Google notes that one-second delays in retail site page-load times can impact conversion rates by up to 20%, so on Monday the company announced that it has rebuilt its site speed tool, which initially launched in 2016. Test My Site now features more details on a site’s mobile site speed. Within several seconds, the tool can generate a report to show marketers the speed of the site and of individual pages, as well as whether the site or page speed is faster or slower compared with the prior month. It also provides a score of Fast, Average or Slow, and a benchmark report comparing competitive sites -- as well as the potential impact of the site's speed on revenue and a detailed list of recommended fixes to increase speed on up to five pages of the site. Key performance indicators are a major part of managing a mobile strategy that improves the customers' experience. Jason Spero, vice president of global performance solutions at Google, wrote in a blog post that "if 70% of your customers hit your mobile site each month but only 35% complete the purchase on their phones, you've got a problem." Spero says it's important to think like a consumer, and provides five tips for success. For example, he says fast pages should load in less than one second. The average mobile web page takes 15.3 seconds to load, and more than half of visits are abandoned if a mobile site takes more than three seconds. Other steps include continually testing the site and challenging the marketing team to complete regular consumer tasks on the website.